Windshield glass is very different from the rest of the tempered glass on your car. It is laminated glass which thus makes it shatterproof. Nevertheless, even though it can withstand force, the serious breaks and cracks require replacements. When it comes to windshield repair Toronto places its trust in National Auto Glass, as for the past 20 years and more we have provided top of the line front-line auto glass repair, Toronto has ever witnessed. 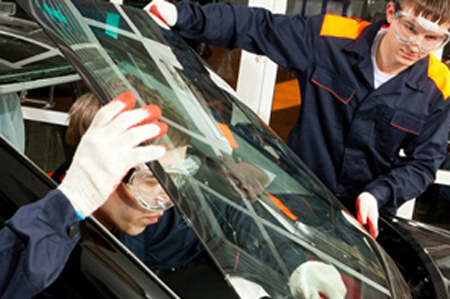 The Windshield Repair Toronto Shop You Can Trust! Irrespective of your car model or make, be it Toyota, Jeep, Nissan, Lexus or BMW among others, we at National Auto Glass, do our best to fix the existing windshield which is either chipped, scratched or broken rather than replacing it with a new one. Only if the position, size and damage done to the windshield are beyond repair, we suggest a replacement for the same. We make sure that the glasses we use are superior in quality and adhere to the prescribed standards. Keeping your loved ones safe and secure is our top most priority. We work within the range of your budget and strive to accomplish more than what you expect of us. Having forged good rapports with most of the insurance companies, we work with your insurance provider so that the insurance claims process is made simpler for you. Our friendly customer service representatives will provide you with efficient advice on whether you require a windshield repair or replacement along with other queries you confront them with. Our certified expert technicians offer same day service which thus helps to get the job done as swiftly as possible. Our unwavering commitment to excellent product quality and customer service ensures a safe and reliable repair and replacement of your windshield and other car parts. This is why the services we offer make us, National Auto Glass, the best auto glass replacement Toronto has come to rely on. Do You Need to Repair or Replace Your Vehicle’s Windshield? Measuring the damaged area on the windshield, check if it is smaller than the size of a loonie. If it is, you can repair it but if the damage is bigger you need to replace your glass. The distance from the edge of the auto glass and the damage occurred needs to be four cms or less from the edge of the windshield in order for you to repair it. If the driver’s line of vision (that is an area approximately 30 cms wide from the middle of the steering wheel) is affected by a chip that results in a damage that is not more than 10 mm across. The above mentioned cases need you to repair the damage; this will ensure that you do not need to replace your windshield glass. You can call National Auto Glass Toronto at 416-294-0245 and fix an appointment so that we can take care of these damages and other windshield repairs is faced with effectively.